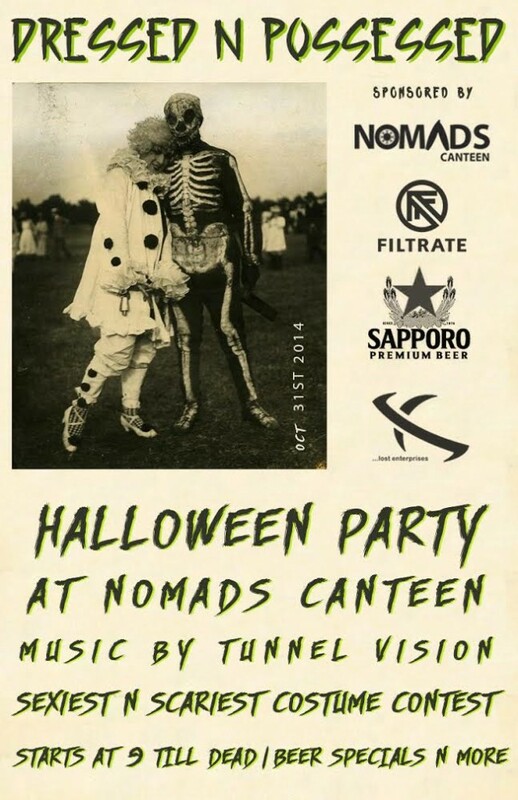 Come on down to Nomads in San Clemente, Oct 31st, for a Halloween rager. Posted the day before Halloween. Last year we only got three hours notice but there were still a bunch of hot chicks there and hopefully this year our bosses won’t yell at us. Best costume wins a $50,000 sponsorship and a year on the WQS… just kidding, Yeomans already won that. There will, however, be free Filtrate sunglasses and some …Lost stuff awarded to the scariest and sexiest costume. Thunderfoot to pick the winners. Live performance from San Clemente’s Tunnel Vision plus beer specials. Nomad’s address is 102 Avenida Cabrillo, San Clemente, CA 92672.